20 November has been marked by UNESCO as World Philosophy Day. The Philosophy Society at FCC commemorated the day on the same date to make people aware of the importance and significance of Philosophy and the necessity to include it in their daily lives. Different quotations by notable philosophers were selected which expressed inevitability of Philosophy in today’s world. 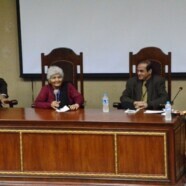 A panel discussion was also arranged on the topic ‘Significance of Philosophy in Today’s World’. 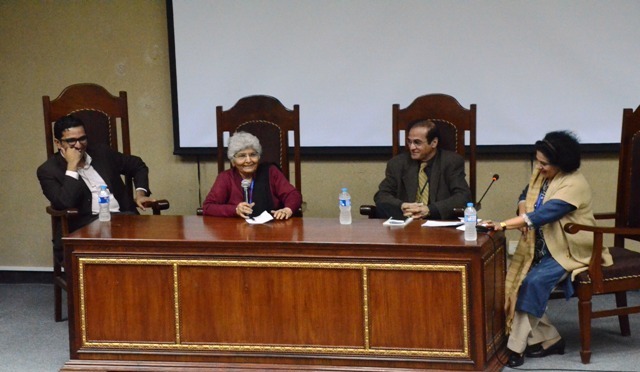 The panel consisted of Dr Waseem Anwar, Dean of Humanities at FCC, Dr Arfa Sayeda Zehra, Professor in the History Department at FCC and Dr Yaqoob Khan Bangash, Assistant Professor in the History Department at FCC. The panelists talked about why philosophy is necessary in our daily life. The discussion was appreciated by the audience. The panel discussion concluded with a question and answer session. Its very good that we celebrated international day of philosophy through the platform of UNESCO.Infect philosophy is equally very important in all disciplines, and in the panelist, Dr. Arifa Syeda Zehra enlightend on the role and importance of philosophy.